Explanation: These clouds of interstellar dust and gas have blossomed 1,300 light-years away in the fertile star fields of the constellation Cepheus. Sometimes called the Iris Nebula and dutifully cataloged as NGC 7023, this is not the only nebula in the sky to evoke the imagery of flowers. Surrounding it, obscuring clouds of dust and cold molecular gas are also present and can suggest other convoluted and fantastic shapes. Within the Iris, dusty nebular material surrounds a hot, young star. 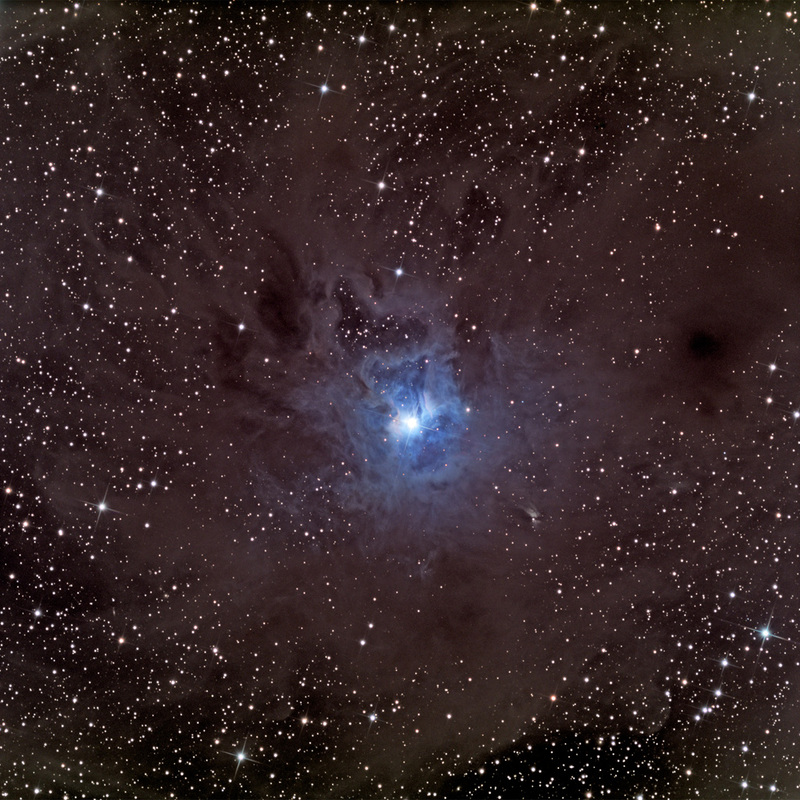 The dominant color of the brighter reflection nebula is blue, characteristic of dust grains reflecting starlight. Central filaments of the cosmic dust glow with a faint reddish photoluminesence as some dust grains effectively convert the star's invisible ultraviolet radiation to visible red light. Infrared observations indicate that this nebula may contain complex carbon molecules known as PAHs. At the estimated distance of the Iris Nebula this remarkable wide field view is over 30 light-years across.